Airbnb’s main webapp uses Rails, Java, and MySQL. This article covers how they operate it at scale. .. up to 2000 engineers, 1000 services, and 8000 Git repos. A look at how Uber uses microservices, numerous programming languages, and RPCs, and how they deal with performance issues. Chaos Monkey is a popular ‘chaos engineering’ tool that randomly terminates VMs and containers inside your production environment to help you build resilient services. 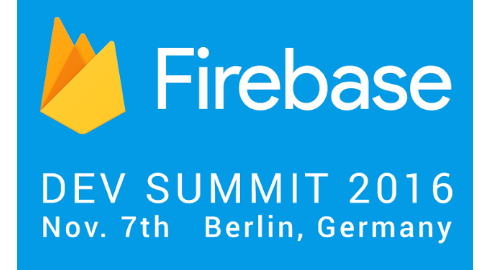 Firebase Dev Summit is a full-day event for app developers. Come meet the Firebase team, be the first to hear our exciting launches, and learn about Firebase through a mix of deep-dive sessions, office hours, and self-paced codelabs. Increase a web application’s performance by pre-generating the results of “dynamic” pages and saving those results into a file cache. How Eduardo Bouças built SpeedTracker, an open-source service that runs on top of WebPageTest to build up and visualize web page performance metrics over time. See memory, compute units, and pricing in a sortable table. Decomposing a monolith into microservices is a long-term investment that can take a while to yield dividends. Here are a few common themes to watch for. Come and help build out and manage our cloud infrastructure (on Kubernetes) and deployment pipelines, create and support tooling for centralized logging, monitoring and alerting, and help guide our overall architecture. You're on the cutting edge of technology, why job hunt like it's the 90s? Try Hired today and have 4,000+ top companies apply for the chance to interview you. Includes an explanation of what ‘snaps’ are and why they’re being used here. A 120 terabit per second cable between LA and Hong Kong. Usage levels are outpacing infrastructure improvements. In this eBook, we take a look at optimizing the time it takes to test and deploy the open-source Laravel Framework project and using parallelization to speed up your test suite. How to use Yarn with Docker for Node.js development and deployment. A walkthrough of a few obstacles and shortcomings to be aware when running Java on AWS Lambda and ways to overcome them. An AWS AMI for streaming PC games at extremely low latency and 60 FPS. Google’s Sarah Novotny manages Kubernetes’ community efforts. The response to a challenge posed on Reddit.